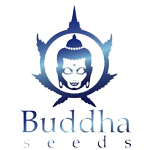 Buddha Seeds - Deimos Auto Regular Seeds. Free US delivery. Deimos Auto Regular is an indica dominant auto-flowering strain that is the result of 7 generations of highly selective breeding. It is a very productive plant that will defy any expectations regarding its potential yield. It develops horizontally as well as vertically and the lateral branches are able to grow colas that are the equal of the main central one. It is ready to harvest approximately 70 days from germination. Deimos has a very powerful effect with a sweet yet tangy taste. It is a very versatile strain and is perfect whether for relaxation, deep thought, watching a movie or for medicinal usage.